Bill of lading is a generic name of a transport document, which is used when goods are carried out via sea shipments. Today's complex economic activities and modern transportation industry created a ground for the development of different types of bills of lading to be used in different situations. Forwarder's bill of lading, charter party bill of lading, multimodal bill of lading, negotiable bill of lading, sea waybill etc. are some of the most frequently issued bills of lading types. Regardless of what types of bill of lading you may face, you can be benefited from today's article, as I will try to explain how to complete a bill of lading in a very plain text with examples. According to Alphaliner, leader research company of liner shipping industry and containerships, Top 20 container carriers operate more than 80% of container ships worldwide. If you have a look the the bills of lading issued by these Top 20 container carriers, you will realize that the structure of the bills of lading are very similar, if not they are almost identical. This is because of the fact that all liner bills of lading are issued according to international conventions, Hague Rules "International Convention for the Unification of Certain Rules relating to Bills of Lading" or Hague–Visby Rules "Amended Protocol" of Hague Rules. Fiata Member Freight Forwarder's Bills of Lading: Fiata member forwarders are relatively big and well established companies. They have the legal right to use Fiata documents including Negotiable Fiata Multimodal Transport Bill of Lading. Non-Fiata Member Freight Forwarders: These forwarders are not allowed to use any Fiata documents. They are using their own bills of lading, which in great extent copy Fiata Bill of Lading. Freight forwarder's bills of lading, either Fiata member or Non-Fiata member, are almost identical, just like liners bills of lading. Additionally, all forwarder's bills of lading are originated from liner bills of lading. Almost all of the details, which are essential to issue a bill of lading, such as weight, contents, port of loading, port of discharge, measure, quantity, quality, description, condition, temperature, marks, numbers of the goods etc. must be forwarded to the carrier by the shipper. Shipping instructions is the name of the document, on which the shipper passes the details of the shipment to the carrier. Shipping instructions can be created in various forms. There is no fixed format available. Some companies use online forms, others send excel or word documents to the shippers by e-mail, while some shipping companies accept shipper's own shipping instructions, whatever form it was created. The good thing about the shipping instruction is that, if you know how to complete a bill of lading you don't need to worry about it at all. You can simply open a blank word, excel or text page and create one for yourself. After explaining the structure of the bill of lading and shipping instructions, now we can start analyzing the contents of the bill of lading one by one. Step by Step Explanation: How to Complete a Bill of Lading? Shipper: Shipper is the person, who generally owns the goods and hands over them to the carrier. In most cases, shipper is the exporting company. Exporters should write their business names and business addresses on this part of the bill of lading. Additionally, business contact details can be written here. Consignee: Consignee is the person, whom the goods will be delivered at the port of discharge or at the place of delivery. Consignee field also determines whether the bill of lading is negotiable or not. Most bills of lading have the following statement on their front face "This bill of lading is not negotiable unless marked (To Order) or (To Order of...) here." Do you need more information regarding negotiable bills of lading. Please read my article "What is the function of a "to order" bill of lading?" and "How to complete consignee and notify fields of a bill of lading?" In these circumstances, carriers' agents at the port of discharge are getting in touch with the companies, whose details are stated on the notify party section of the bills of lading, in order to inform the arrival of the goods. Notify party has no effect on the title of the goods, whom the goods will be delivered and how the goods will be delivered. In most cases, importer's contractual logistics operator's name and contact details are written on the notify field. In letter of credit transactions, notify party is generally the importing company. Vessel Name and Voyage No: Shippers learn the vessel's name and voyage number, along with Eta/Etd dates when booking the container. Frequently, carrier agents or freight forwarders mention more than one vessel names with different Eta and Etd dates. As a shipper, you have to make sure that correct vessel name is indicated on the bill of lading. Port of Loading and Port of Discharge: Port of loading and port of discharge are very fundemental parts of the bills of lading for various reasons. Firstly, port of loading states where the carriage starts and port of dischage shows where the carriage ends in port to port shipments. Secondly, port of loading and port of discharge defines carrier's responsibility period for port-to-port shipments. As a shipper, you have to make sure that correct port of loading and port of discharge are indicated on the bill of lading. Place of Receipt and Place of Delivery: Place of receipt and place of delivery are two important shipment terms, which are usually used with door-to-door deliveries instead of port-to-port deliveries. Door-to-door deliveries mostly associated with multimodal shipments. If, at least, either please of receipt or place of delivery is completed, then bill of lading turns into a multimodal bill of lading. Place of Receipt: means the place at which the Carrier has contracted to receive the Goods, when such place is other than the Port of Loading. Place of Delivery: means the place at which the Carrier has contracted to deliver the Goods, when such place is other than the Port of Discharge. Container Numbers, Seal Numbers and Marks: Container number is a unique reference number assigned to a freight container so that the container can be traced and tracked by the government authorities, carriers, shippers and freight forwarders throughout its journey. Each sea freight container has an unique container number. Shippers can learn the container number, just after they collect the container from the container terminal located in the port of loading or nearby container depot. Each container should be sealed with a secure seal by the shipper. Container seals are supplied to the shippers along with the empty containers. Marks stated on the bill of lading usually means the tare weight of the container and container type. Generally, container tare weight is inserted on a bill of lading by the carrier. Description of Packages and Goods: Bills of lading should state gereral description of goods, package types and package amount under "Description of Packages and Goods" field. Shippers should declare all related information, that will be written on this part of the bills of lading. Carriers do not accept any responsibility. Any additional information such as freight collect or freight prepaid information, shipping marks, HS codes, letter of credit numbers etc. can be written on this part, as well. Related page for further reading "What does “Said to Contain” (STC) mean on a bill of lading?" Gross Weight: Gross weight is the total weight of the goods plus all packaging materials inside the container. It should be take into account that gross weight and verified gross mass are two different terms. Verified gross mass can be calculated in two different ways, but its most plain explanation is verified gross mass is gross weight plus container tare weight. Verified gross mass is not indicated on the bill of lading. Shippers should inform verified gross mass to the carriers separately. Measurement: Measurement is either left blank, or else completed with the gross volume of the consignment. Volume of the cargo may not be too much important, especially with floor loading full container load (fcl) shipments. Because, usually goods fill container's inside volume completely with these kinds of shipments. 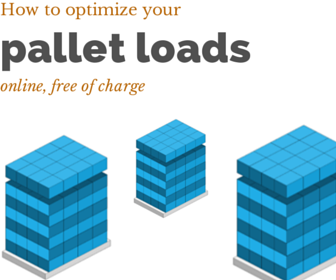 Palletized full container load and less container load shipments may subject to gross volume calculation.